2 master suites with deck access & beachfront views from every room! 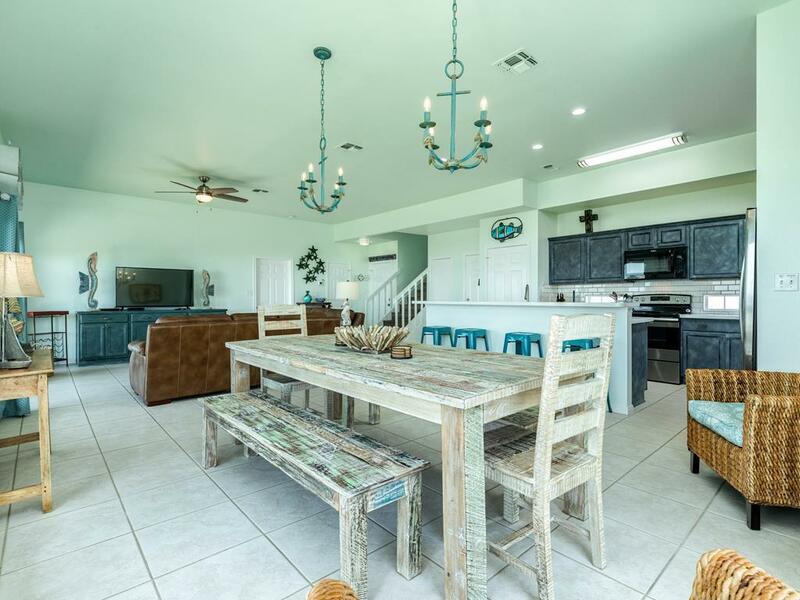 Enjoy island living at its best with breathtaking Gulf views, walls of windows, an open floorplan and easy deck access onto both levels of open and covered decks. 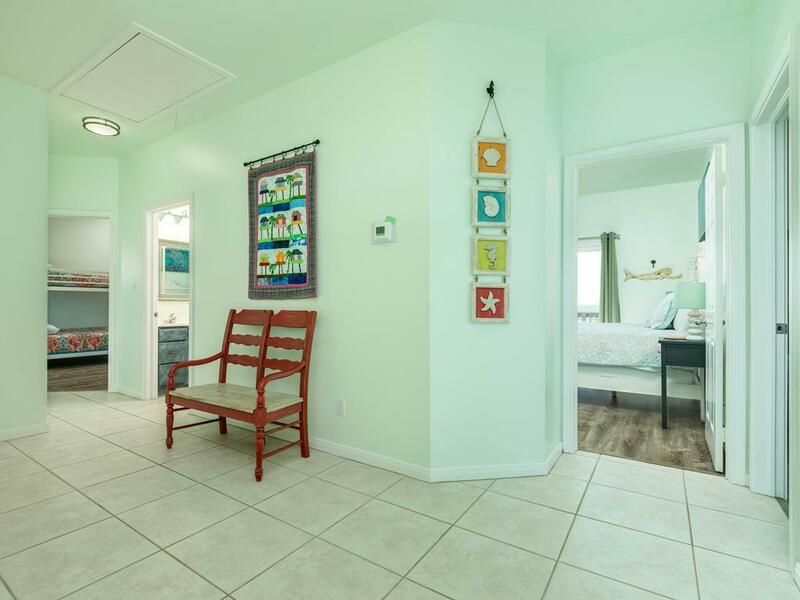 A private dune walkover makes beach access quick & easy for all ages while the built-in picnic table on the ground floor patio makes a great place for snacks and cooling off between visits to the surf & sand! This was our sixth year of renting a beach house from Sand and Sea, and our fifth staying at “No Agenda”. We love the location, the fact that the property is very well kept, and the excellent customer focus consistently shown by the Sand and Sea professional staff. Our four little grandchildren, our three grown up children, daughter in law and son in law, and my wife and I so look forward to going back to “No Agenda” in 2019, and I have already secured we’ll do so by contracting and paying 50% of the rental cost for next year. Love that No Agenda has been re-done! It was like being in a new house!! First Christmas at the beach with all the kids and grandkids! We’ve stayed in several beachfront houses and our family likes this one best. Nice common area for everyone to play and eat together. Very comfortable and roomy bedrooms for both adults and children. Easy beach access for young and old. Nice yard area for play. Covered deck with large picnic table was nice. Large upper and lower decks are very nice. The house was very nice and there was plenty of room for all of our guests and being right on the beach was wonderful! This was the fifth year we, our three grown up children and by now four grandchildren have vacationed in Galveston at a Sand & Sea property, and our fourth at "No Agenda". 2018 will be our fifth at "No Agenda" because we have already reserved and paid 50% of the price for next year. It was a great location if you want to be away from the vacationers in Galveston. The drive into Galveston each night for dinner was very enjoyable. We arrived right after Cindy rolled in. The next morning the beach cleaners were out, the beach was clean and enjoyable with your on personal beach and no crowds. No Agenda was clean and accommodating. There are no beach toys or chairs so be sure and bring your own. We enjoyed the no rush, take your time feeling. Coffee, quiet time, game playing on the balconies. Overall a perfect get away for some much needed family time. We have stayed at "No Agenda" for the past 5 or 6 years. Every year has been great, but this year the new owners put in all new appliances and countertops and that was a huge improvement. We have already put down a security deposit for again next year. 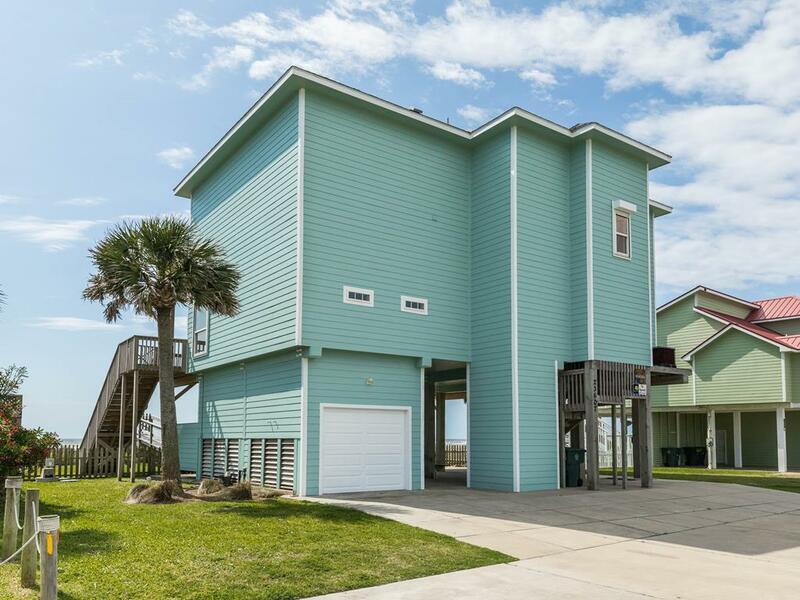 The beach is easy to get to with walk way and equipped well. 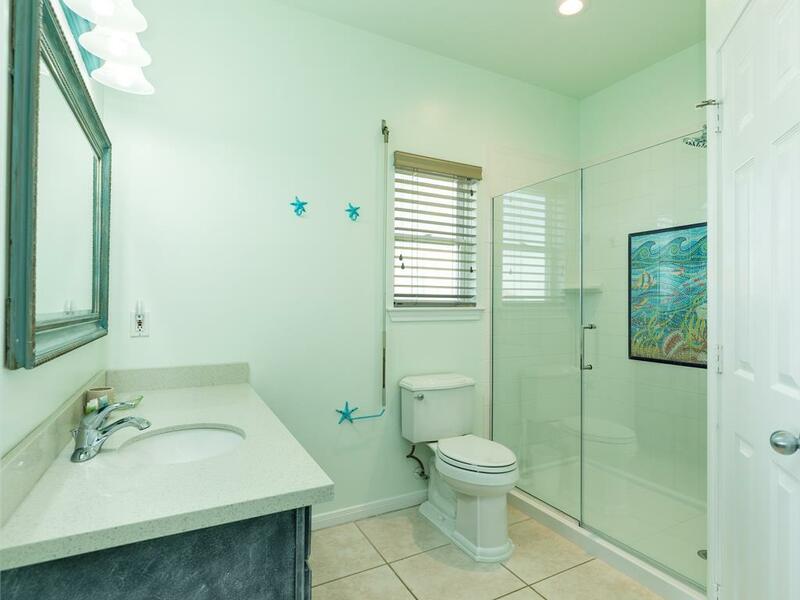 This property was perfect for our three families with children. The kitchen had plenty of counter space to work. There was room in the pantry for our food. Spacious. 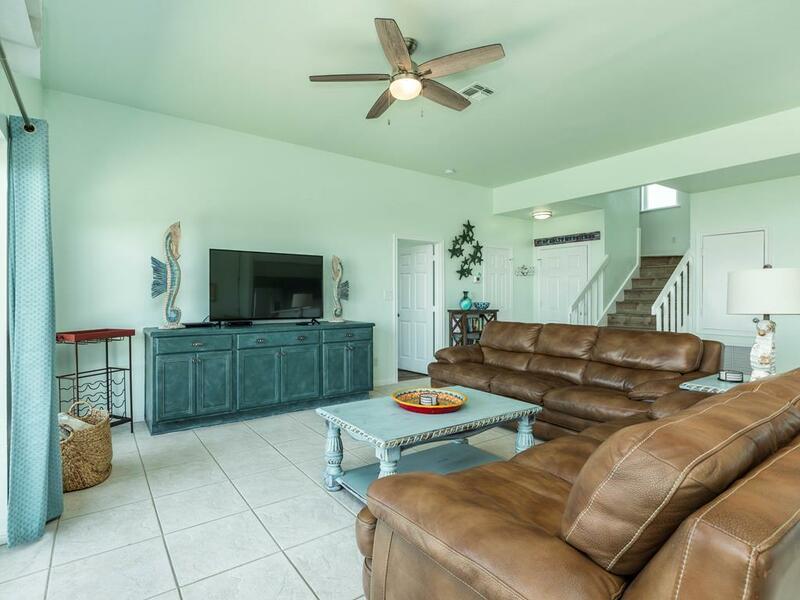 Great access to the beach and the beautiful views from all decks and main level. Loved the house! It was a perfect layout for our families. We have rented throu ::) Sand 'N Sea for many years and loved the houses. This house is special, more like a home-away-fom-home. Definitely coming back next year! We love "No Agenda". This was our second time at this property with our children, their spouses, and grandchildren. We have booked it again for 2017, and intend to continue doing so every year. We came for a little family get away with our 2 daughters and 5 grandchildren and had such a lovely stay in this beautiful house. It is exactly as shown in the pictures. Very large, lots of windows that line the deck. Full kitchen of cookware, plates, cups and silverware so cooking in is easy. Even a coffee grinder. Coffee on the deck in the morning was great! Outside shower works great. Did not use the washer/dryer but the dishwasher works great and there is a large refrigerator. Highly recommend this house. Hello! We are glad you enjoyed No Agenda! We are very sorry that this year's abundant seaweed prevented you from spending more time at the beach during your stay. As you discovered, the numerous cold fronts in the early spring contributed to larger-than-normal seaweed growth, and beaches all along the coast have been hit hard. The large amount of seaweed has outstripped the resources available for responsible coastal management in many areas on the island. We appreciate your patience with the situation and hope you enjoyed the other great attractions that Galveston had to offer during your stay! Quiet location way at the end of the beach. This is the best house we've ever rented. It had EVERYTHING. I love to cook and I've never seen a kitchen so well supplied. Appliances appear new from W/D to Frig and a very quiet DW. 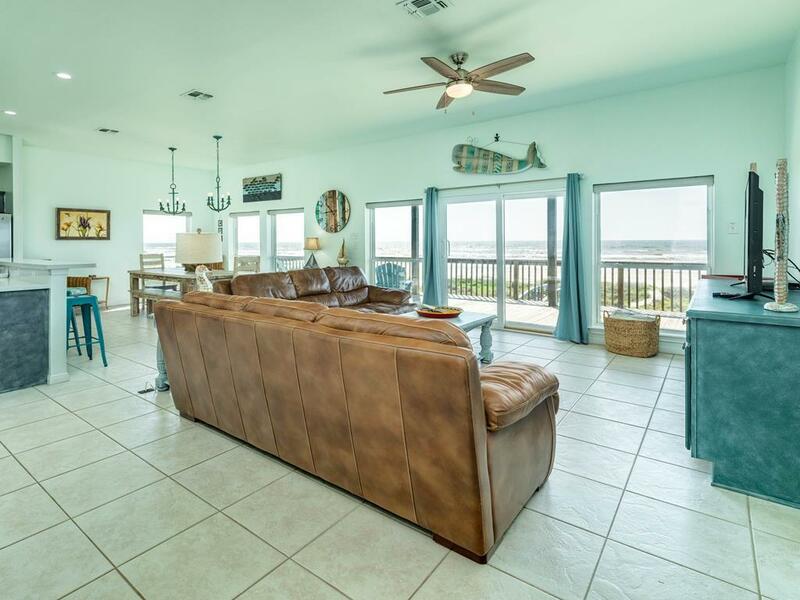 Beautiful views of the beach from every bedroom and tons of space for everyone. Huge shaded deck downstairs plus a sunny one upstairs. Little bridge over the dunes to get to the beach. Very, Very, Nice! We'll be back next year. It'll be the first time we've rented the same house twice! very enjoyable, especially the nicely groomed beach. Beach was great this year - in part because the seaweed was raked from the beach. Great location - especially for the under 10 crowd. Great beach house. Great, quiet location close enough to Galveston but not too close. Beach not crowded even on weekend. Small convenience store nearby. 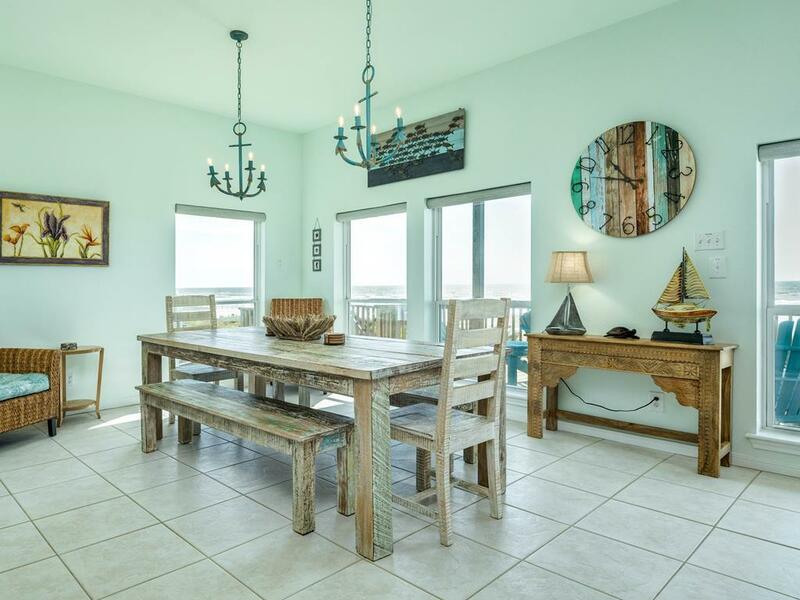 It was great to have a beach view and balcony access from each of the four bedrooms. There is a crossover from the yard to the beach, with 15 steps, and there are 23 steps from the yard to the main floor of the house. It is a 2-story house, so there are additional steps to 3 of the bedrooms. If you have trouble climbing stairs this house would be difficult for you. Otherwise it is a GREAT house. This property is awesome! The pictures do not do it justice! 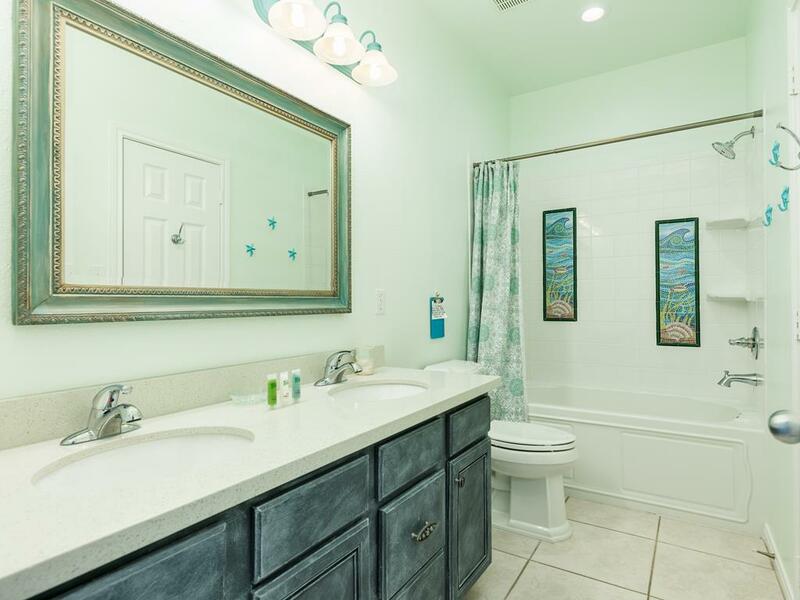 It offers easy access to the beach, great layout, plenty of space, and is very neat and clean. We had 12 people stay here and had plenty of room. Great customer service and easy booking. Thanks so much!!! 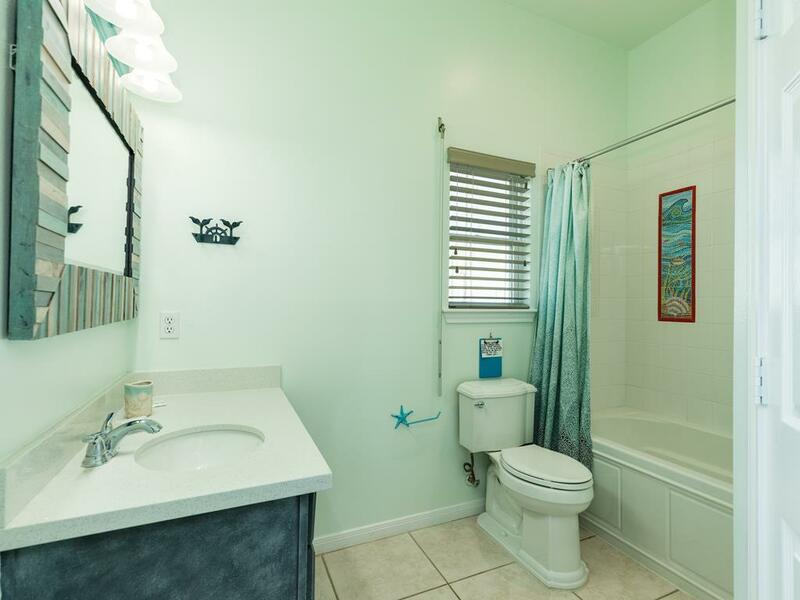 This is a lovely property with great beach access. Our only issue was the two king beds, which are extremely hard. For us, they were distractingly uncomfortable. Fantastic rental for our two family vacation, we will definately use this rental again when we come back. 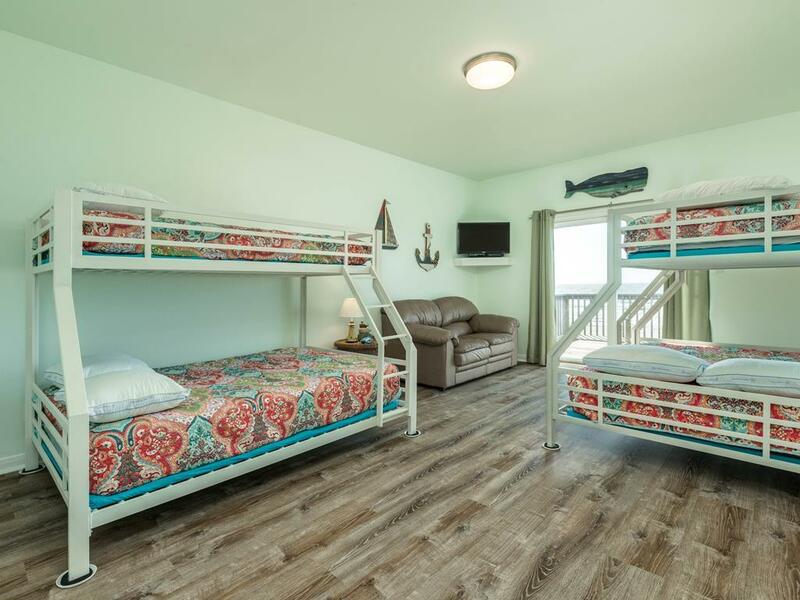 Two master suites were perfect four our set up, and the kids bunk bed room worked perfectly for the kids. 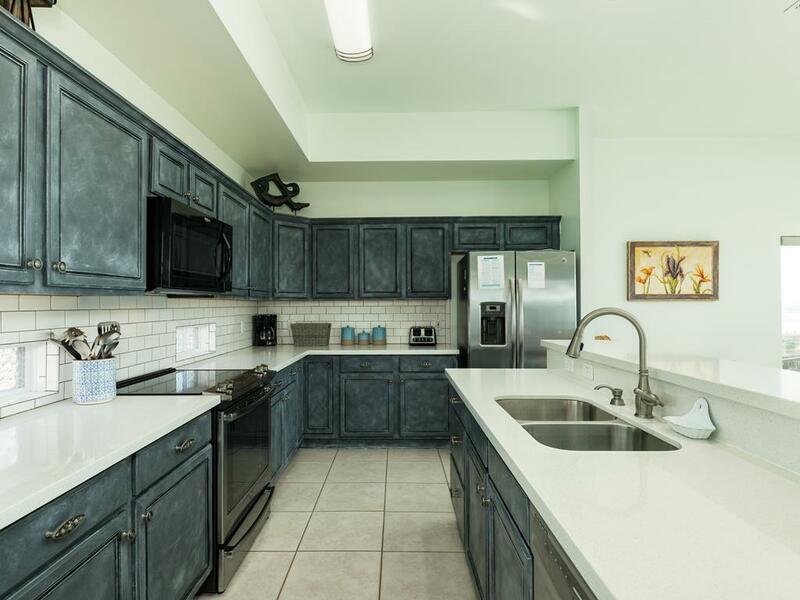 Great kitchen, brand new flat screen TVs that worked like a charm, great wi-fi, more updated then we thought! Combination of a fenced in back-yard and private walkway to beach worked great for our younger kids (not to mention the heated outdoor shower!). Would highly recommend this property! This property was an excellent choice for my family's mini-vacation. It was very cozy and extremely roomy all at the same time. There was 12 of us, and never did any of us feel crowded. The beach access was great!! I will definitely book this property again. Very nice floorplan, every room had a view and deck access.Backyard being fenced and well maintained was a huge plus For the children. Setup was just what we wanted and enjoyed it Very much. Outstanding property...love the walk-over to the beach! Two master suites! Also...great wifi service. Great property for families with children. This is a wonderful home. We thouroughly enjoyed our stay there. Well stocked and very comfortable. The beach is the problem. Galveston has stopped grooming the beaches and they are covered with thick seaweed. Hard to enjoy the beach this way! Hello! The responsibility for seaweed cleanup has just transitioned from the Park Board to the individual neighborhood associations this month, and several areas are still finalizing their plans for maintenance. When you are ready to plan your next visit the island be sure to call the office for information on which neighborhoods will be moving seaweed. Our Rental Agents would be happy to help! This was the best house we have stayed in! 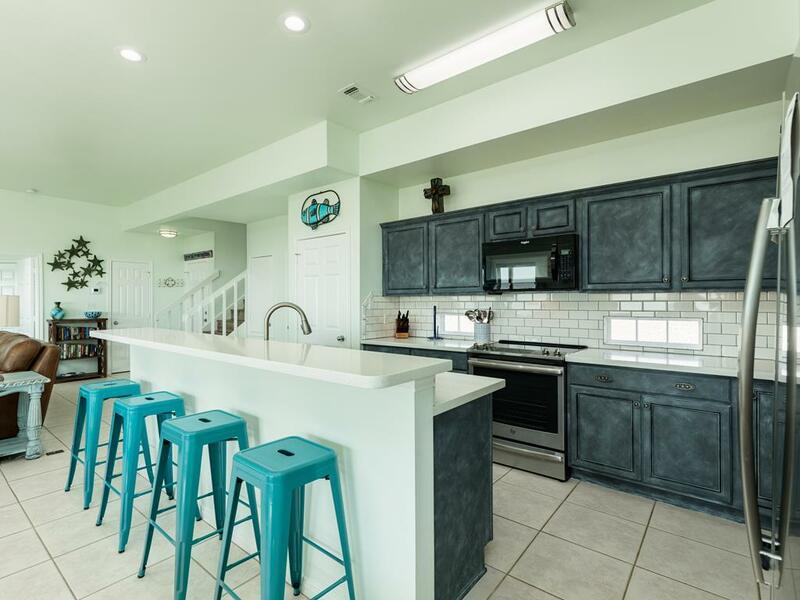 This was the first house we've rented in Galveston after having rented in Grayton Beach Florida for the last few years and although you can't beat the sand & water in Florida we preferred this house for the location/beach access and will definitely be back in the future. This was a very family friendly house (6 adults & 4 children under age 3...just bring gates for the stairs. Loved the easy checkin/checkout process with SandNSea. It was a very enjoyable mini vacation!